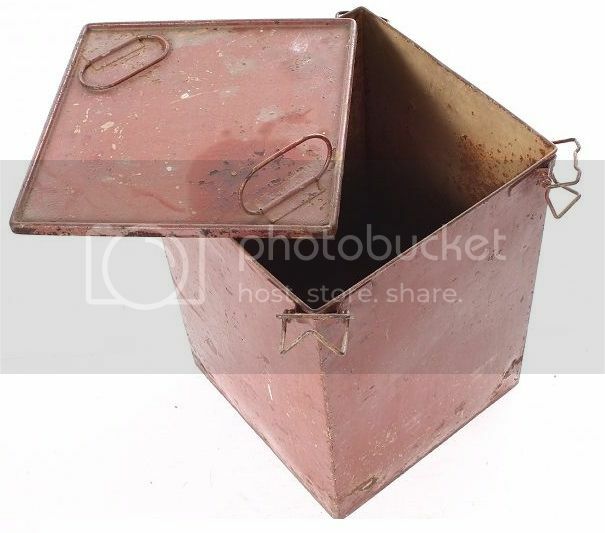 Could some one please tell me if this container is original WWII fallschirmjaeger? I've seen other containers which look quite different, but was wondering if this is late war issue or even post war. Last edited by Pegasus44 on Wed May 10, 2017 17:05 pm, edited 1 time in total. Sorry if that was a bit vaque .. ?? I was curious is all so did a search and found that .. apart from the fact yours has no markings they look alike I think and so could be the same pattern ... ?? Yeah they are identical. That red one has what looks like the sand coloured paint underneath. I'm just a bit wary of parting with my money if I can't guarantee that it's original war time. I've not found any historical picture of this type of container, until I do I think I'll save my money.